About Us - MBE Medical Supplier | Southeastern Medical Supply, Inc .
Don't see what you want? Price not right? Give us a call. WE ARE ALWAYS HAPPY TO PROVIDE VOLUME DISCOUNTS FOR ANY OF OUR ITEMS. Also, we are constantly reviewing and adding new products. If you would like to receive discount coupons, new product introductions and sale info, please sign up for our email newsletter. You will only receive high value offers and your email information will not be provided to others. Southeastern Medical Supply is a South Carolina-based company that was formed especially to provide customers with savings on a broad selection of high quality, competitively priced innovative health and wellness products. From a blood pressure monitor to pulse oximeter fingertip devices,nebulizers and beyond, we quickly ship what our clients need right to their doors. To keep our customers costs low, we purchase items in our inventory in large quantities and we have also benefited from negotiated special pricing. Whether its a heart rate monitor, a fetal Doppler, oxygen concentrator or an oxygen monitor finger device that's required, we pass our savings right on to you. 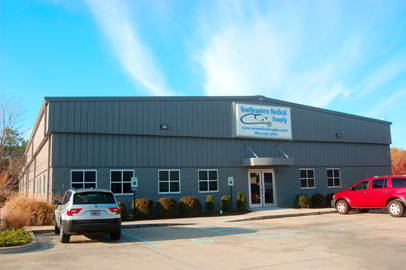 Located in sunny South Carolina, Southeastern Medical Supply has served their customer base nationwide since 1993. We are a certified member of the Carolina-Virginia Minority Supplier Development Council - NMSDC- with NAICS Codes: 423450, 446110, 446199 and 923120 (Certificate Number CA86060). 2) We are located in the USA and have an actual "bricks and mortar" facility, not a simply PO Box. This allows us to ensure, in most cases, that the product is inspected before it leaves our facility and allows us to get your product to you quickly. We usually ship within 1 business day upon of receipt of your order.